Photo taken 7.00 am on a grey winters morning. 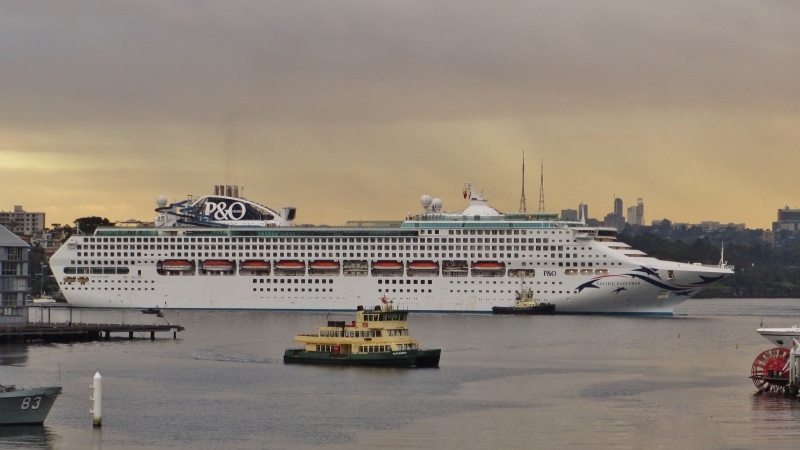 Pacific Explorer is going astern into White Bay, for the first time under this name & Alexander is bound for Darling Harbour. Stormy early morning generates a great pic. Like this one. Rain eased enough take these shots. Seems to be a nice makeover, externally at least. Thanks Clyde. Well done Tony. A good reward for getting up early on a damp morning. This photo has been shown 1,194 times since it was added to the site.